It’s Monday and I have new bookshelves!!! Our IKEA delivery arrived on Friday and we set about putting things together. First, new beds for the boys. They were very pleased with their proper beds. A new sofa to replace our sad one in the loft that’s nearly ten years old. And one for our front living room which we have done nothing with ever since we moved in 6 1/2 years ago. Our front living room has mostly accumulated toys, an old coffee table which we had taken away from the den once we had kids… that kind of thing. It pretty much was more of a storage area. Sad but true. But now we have shelves (mostly to store the kids’ toys)! And a sofa! More importantly, our loft is now actually a library! 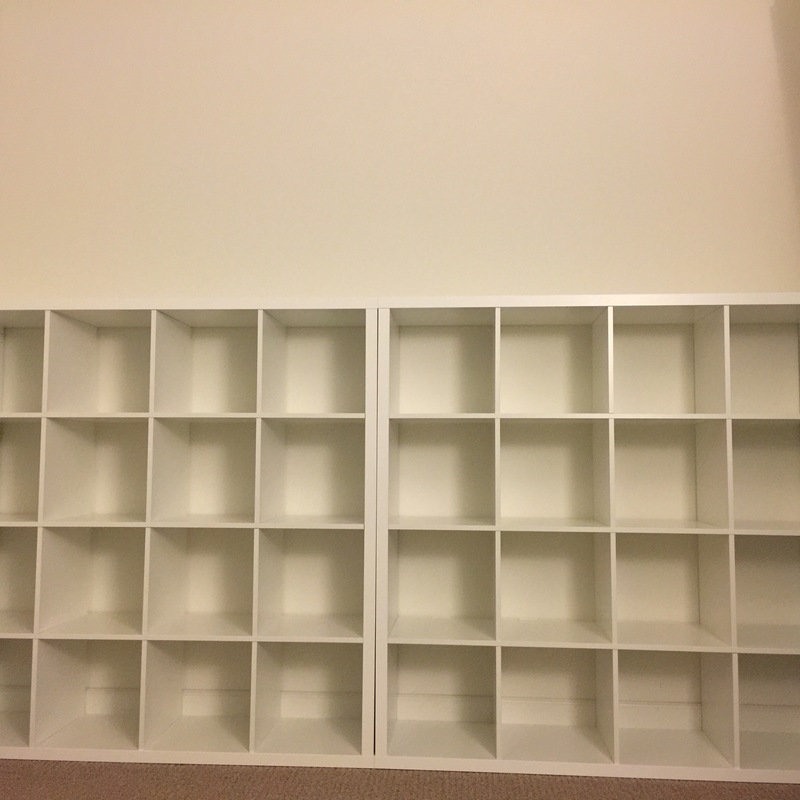 One wall is nothing but shelves. We have a new sofa and I got a lovely wing chair! I will put up proper photos once my books are up, but for now here is a preview of some empty shelves….! It was definitely a tiring weekend of physical labour! But we are so happy with how everything is shaping up. We still have to get rid of old furniture so things aren’t as settled as I would like it yet, but we will get there soon! 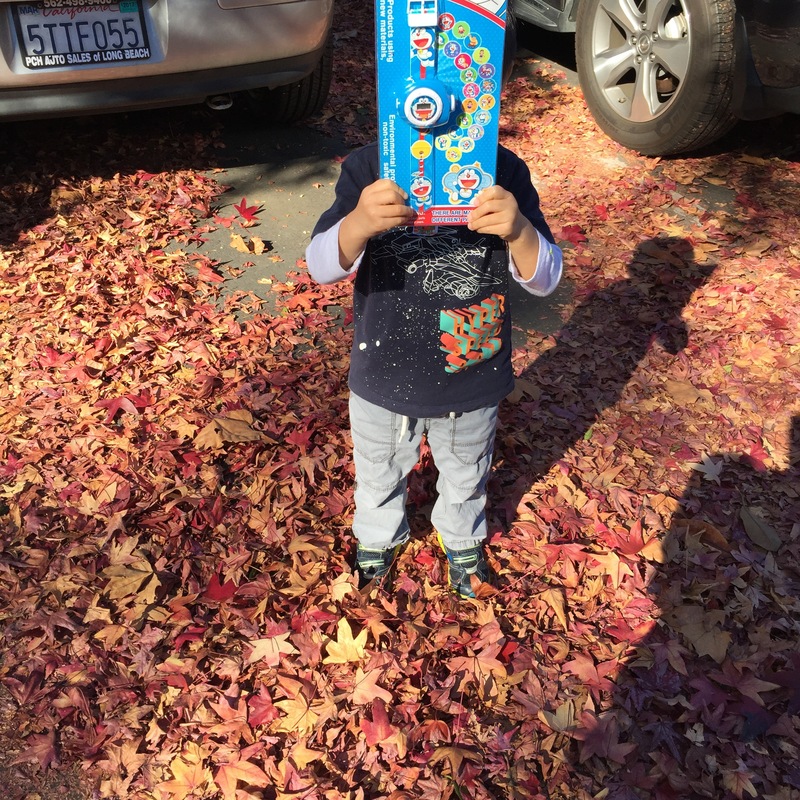 Playing in the leaves after preschool. His classmate had a birthday and gave everyone a Doraemon watch! The Grand Tour. The three car nuts are back, this time on Amazon Prime, in a tent-studio that travels the world apparently. It was lots of fun to watch! I’m typing this on Sunday night and the last thing I ate was sesame balls from the Hong Kong-style takeout joint near us. We picked up some chow mien, beef chow fun, garlic chicken, green beans, sweet and sour pork. It was definitely fall weather last week, such a change from the week before when it was still T-shirt weather. So I’ve been thinking of stews and soups and baked pasta and baked rice kind of meals! Nice bookshelves! 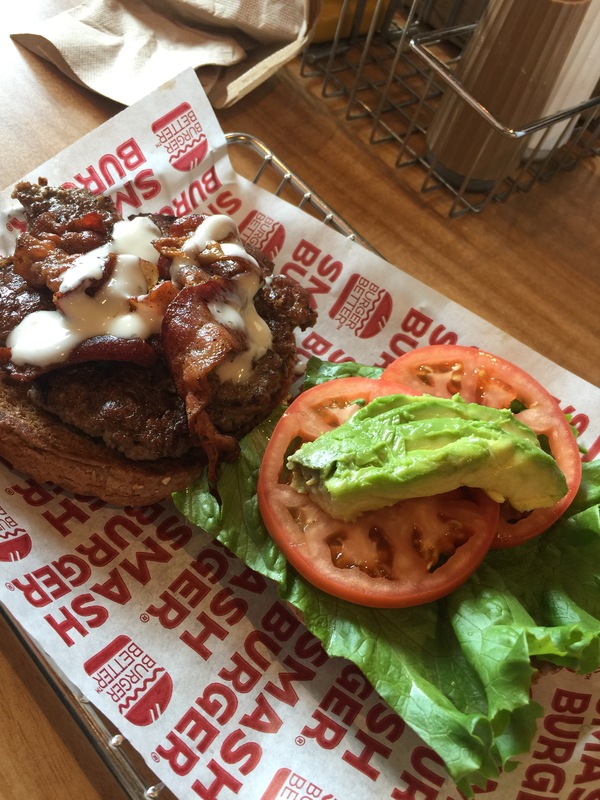 And my family loves Smashburger as well – esp the kids. 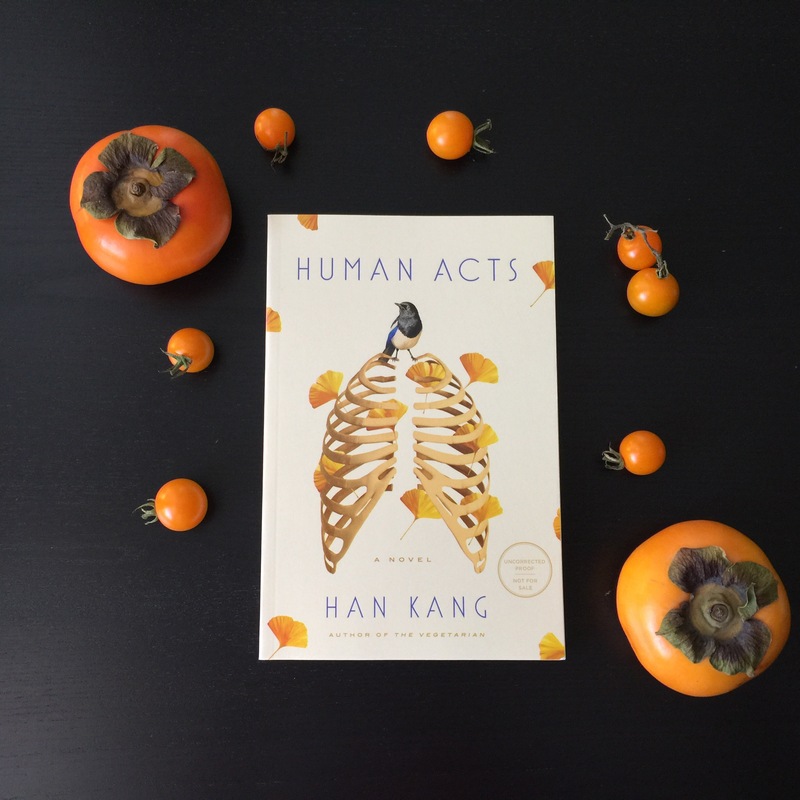 Interested to hear how Human Acts is..it’s on my 2017 watch list. 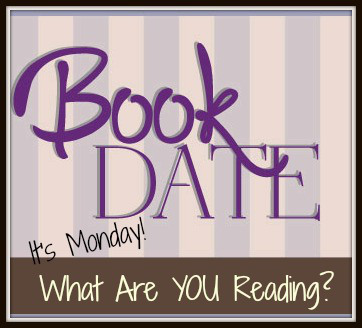 Looking forward to hearing all about both your current reads: enjoy! Love the bookshelves! I’m looking forward to your thoughts on Do Not Say We have Nothing, which I’ve heard so much about. Hot damn that burger looks delicious! Hmmm, I was planning to eat cheese fries for dinner but perhaps I will change my mind and have a yummy burger instead. And congrats on your library — I can’t wait to see pictures of the finished product! 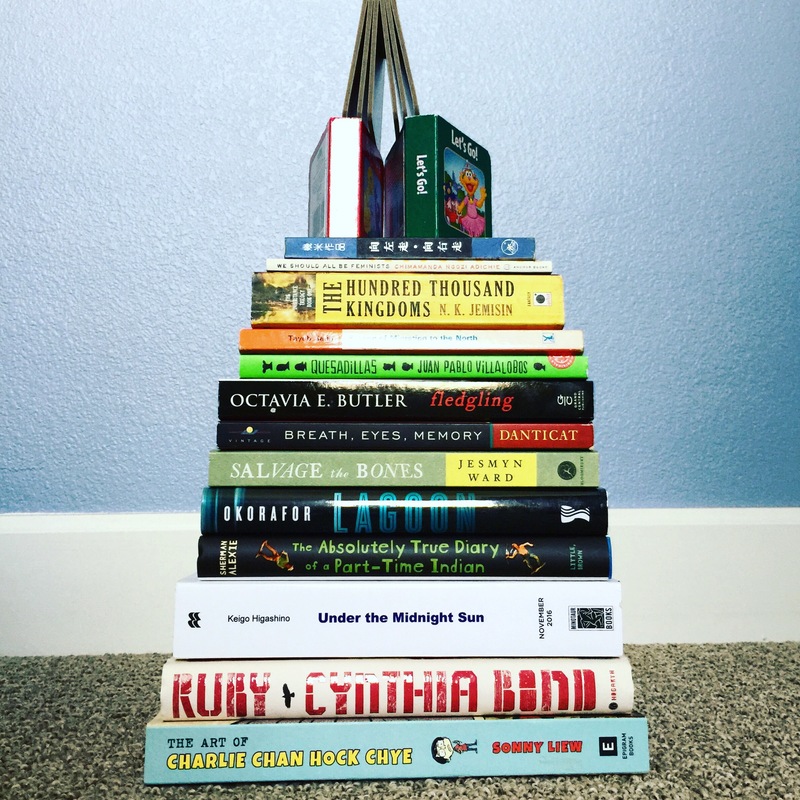 I love your book pyramid! I did one myself recently with tons of books, haha. It was more time-consuming that I expected but it was such a fun little project. Oooh, Han Kang. Oooh, new bookshelves. Ooh, lovely food. How perfect is this post? 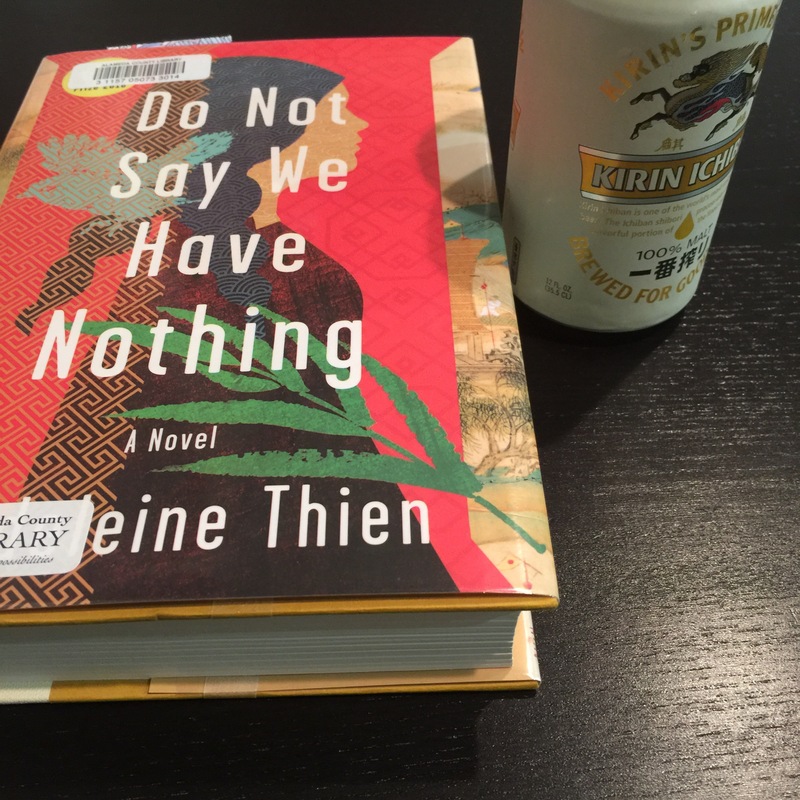 And Madeleine Thien too – this is on my do-I-don’t-I list. I find reading about Communist China hard, because that is what my mum escaped from as a baby and I have always grown up with a lot of What-ifs. How did you find it?